A new report from GTM Research, Wood Mackenzie and Vote Solar, a solar accessibility advocate, notes that 50 to 75 percent of U.S. consumers don’t have access to conventional rooftop installations. But if it is executed properly, community solar can change that, the authors say. Assessing the possibilities of policies and business models, the report, which also received support from the Coalition for Community Solar Access and Grid Alternatives, notes that community solar installations could reach a total of 84 gigawatts of operating capacity, serve 8.8 million customers and account for as much as 2.6 percent of U.S. electricity consumption by 2030. “Solar should be able to benefit everyone,” said MJ Shiao, head of Americas research at GTM Research. “But it’s difficult to apply onsite solar to folks who rent, or to low-income communities.” Read more here. Fremont’s first 1.55-megawatt solar farm located off Jack Sutton drive near the city’s power plant. The farm’s two hundred subscribers had the option of either purchasing solar panels or a share of the farm’s energy generation. To accommodate strong customer demand, Fremont is working with GenPro Energy Solutions on a second solar farm, which is expected to be completed in October. 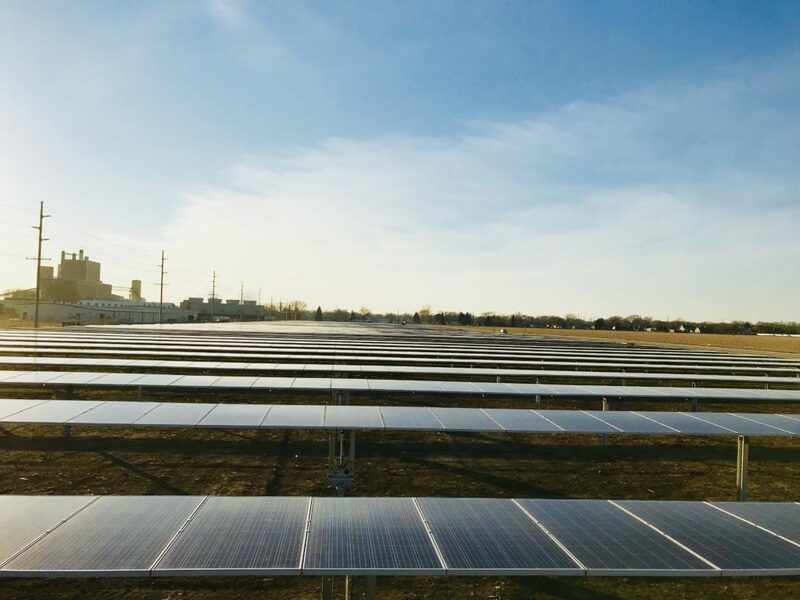 This entry was posted in Community-Scale Solar and tagged community solar development in Nebraska, Fremont's solar farms, Greentech Medis, states with community-solar legislation on July 26, 2018 by Helen Deffenbacher.